ROOSEVELT ANEKE'S BLOG: Would You Date A Broke Married Man? 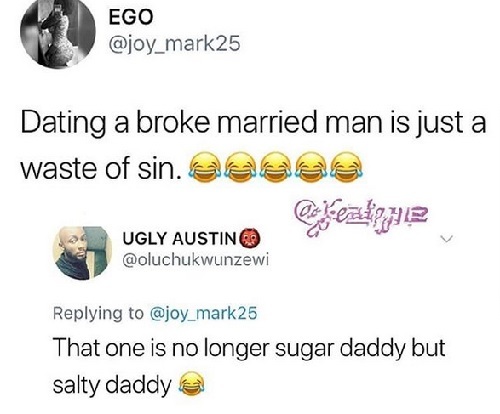 Would You Date A Broke Married Man? Lol... don't even know what to say. Epic response!